Italian cuisine is simply delicious. Sunny Italia offers the most yummy, mouth-watering, appetizing, tasty, flavoursome, inviting and enjoyable food one can possibly wish for. However, there's a little fly in the ointment - Italian food is fattening and definitely won't make you digest quickly. But we can make an exception when we're on holidays and forget about calories count in Italy - we'll keep our diet when we get back home. So let's have a glance at the most popular Italian dishes. Absolute worldwide classic. Served in almost every corner of the world but tasting best in its homeland. Thin crust is a must. The less ingredients, the better. Like majority of national dishes, pizza is food of the poor. 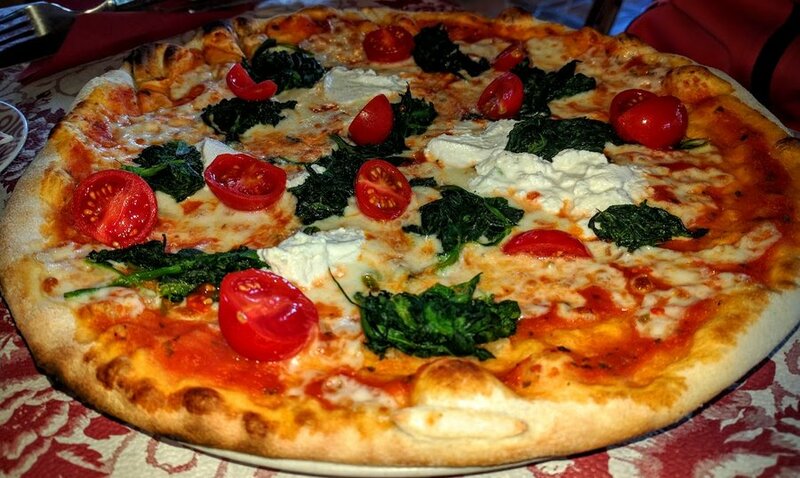 If you wonder where is served the best pizza in Naples (recommended by locals! ), check out this insightful post . There's so many different kinds of pasta that non-Italian can feel lost. I present below the most popular ones. All cooked al dente. Spaghetti carbonara - egg sauce, cheese and bacon. Keeps you full for a looong time. Spaghetti al ragù (bolognese) - Italian version has got vegetables which are so finely cooked that you don't even notice them! Penne al pomodoro - simple but so delicious! Tagliatelle - long, flat ribbons. The version below was served with deer stew. Casunziei - particularly interesting. Similar to ravioli - stuffed pasta which takes half-moon shape. Casunziei is served with poppy seeds which gives it very unusual taste. Italian bread knödel, typical in Tyrolean region. It has some German influence in it, but I don't mind - it tastes fantastic! Soft potato dumplings. Another cheap but yummy food which will fill your stomach for long time. Mozzarella, Parmesan, Gorgonzola, Asiago, Pecorino - these are just a few Italian formaggios. The best one I've ever eaten! I know it's unhealthy and makes me gain weight but... what the hell! I think everyone should at least once in their lifetime try real tiramisu served in cozy Italian restaurant. What's your favourite Italian dish?